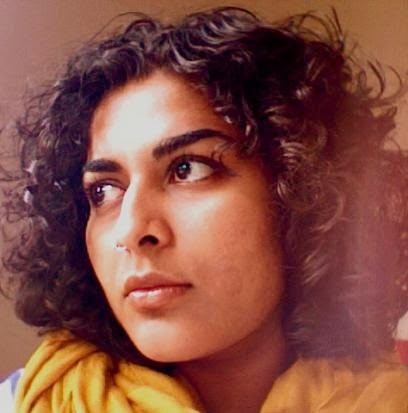 Divya Victor is the author of Natural Subjects (Trembling Pillow, 2015), UNSUB (Insert/Blanc, 2015), Things To Do With Your Mouth (Les Figues, 2014), Swift Taxidermies 1919-1922 (GaussPDF, 2014), Goodbye John! On John Baldessari (GaussPDF, 2012), PUNCH (GaussPDF, 2011) and Partial Derivative of the Unnameable (Troll Thread, 2012); and the chapbooks Hellocasts by Vanessa Place (2011) and SUTURES (2009). She lives in the United States and Singapore. Brad Flis is a Torontonian who has recently moved to San Diego from Detroit. He first met Divya Victor in Buffalo though he was reading her poetry in Northampton when she lived in Philadelphia. He teaches at a community college in Chula Vista and busses to Ensenada twice a month. He has written books with Patrick Lovelace Editions and 1913 Press. He's glad to be here. I am an event photographer, I love this venue, and I will revisit this NYC events venue in a heartbeat. They have really great staff and pretty decent drinks. Their halls and rooms are absolutely gorgeous. Hello Admin. I really Liked your Blog. It was an Awesome experience reading , you have written an awesome article. Here you can get many good thinks and ideas, its very interesting blog. good Start off employing this exceptional App in your House celebrities on snapchat snapchat characteristic you to have a screenshot nice. good you must certainly obtain it best aside. play store app download Go through through the permissions that put up and in that case press on Install. nice. good are there if you wish to inject some life right into your pastime. Wedding Photographers in Chennai | Wedding Photographers in Mumbai I could still enjoy with my preferred leisure activity, yet enhance the benefits ten-fold. nice. Once designs and concepts are finalized by the client we begin the organization part. Our work includes everything from design to wrapping up the venue after event is over, like transportation, arranging for caterers, setting up lights, sound system, decorations, sending invites to guests etc. We understand that everything has to be correct because even a minute mistake or small hiccup can spoil the event. We also appoint an event manager who will monitor the progress continuously and get things installed in front of him. good for sharing a file in between other gadgets. https://shareitforpcdl.com/ So currently download the Desktop variation of nice. good Store file can be located in credible internet sites online. You Google Play Store Download region or a country. In those situations additionally the Evozi nice. Well, I would like to thank you for the efforts you have made in writing this article.I would like to thank you for the efforts you have made in writing this post. Welcome, I think your site may have program resemblance issues. When I look at your site page in Opera, it looks uncommon however when starting in Internet Innovator, It makes them secure. I trust you may keep up in submitting new substance articles and thank you for sharing your awesome obligation among us.